I’ve lived through death-defying moments ducking from flames as we survived a wildfire, losing every possession and our home in one day, working in South America and had my hotel surrounded by machine guns going off at night and rioting. I’ve been closeted in a hospital room with family living on the edge of life and death, gotten on stage in front of hundreds, held thousands of dollars of pink and colored diamonds and a Faberge Egg, and have moved fifteen times in my lifetime all over the country. 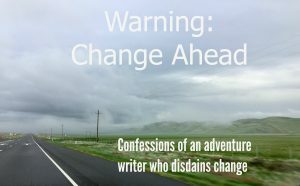 I write for tweens and teens about Indiana-Jones-style adventures in other worlds and nonfiction to encourage families to live with resilience after big life changes. Yet, when I first hear that a test or trial is coming, I cringe. That moment of trust is still slightly terrifying! Can you relate? When a challenge comes I first need to assess it and understand the parameters—what’s the cost going to be? To me? To my family? Our finances and life in general? It can be an unwanted medical scare or a child needing more attention—an extraordinary life event or amazing opportunity. It doesn’t even have to be all negative. It’s just the pain and distortion of comfort with change that gets me. I find it slightly humorous that I can imagine all kinds of terrors and torture, beauty and gems, and poignant lessons for my characters, yet I really don’t like having to endure them myself. Will you accept or fight me? Will you seek wisdom or do this on your own strength? Will you allow others to bless you in this transition? Will you be bold with your feelings or hold them inside? In this hovering state, you meet the Maker, the Designer who holds the fiber of your integrity in one hand, and the ability to create in the other. He wants to shape and mold you. Will you be pliable? I believe it’s a conscious choice at this point to decide to live a vibrant life. Resilience is found in those moments. Resilience is made in that crucible of belief and willingness to be open to change. I don’t have to like it, but I know its voice well. I won’t refuse the whispers that the Lord brings that can open doors I never would have dreamed, whether through pain or through perseverance. You can feel yourself stretching. It is often uncomfortable and brings humbling times where you’re at a total loss. You can truly no longer go it alone on your own strength. You’ve not only come to the end of the rope, but the rope is waving in the breeze, floating away. You’re just living in the trust-zone. makes cringe. Someone else will live in our home, walk our paths, feel the Southern California sunshine in my place. You can even meet skeptics and others with difficult journeys where you’re headed. But all I know is one simple truth. I’d rather be walking where the Lord directs my path, than anywhere outside of it that seems easier or more comfortable. Jesus is found in those moments of trust. He’s at work inside of me and our family and is being the wonderful Craftsman that He is. Chiseling away at my inadequacies, making a whole new life ready. Ready for change. Are you ready for change? Do you love the fresh experiences it brings or want to hide in a corner? How have you seen fingerprints of faith on your own journey of change and growth? Resilience Expert Elizabeth has lived a life with diamonds, wildfires, and miracles. The gemologist and communication specialist has held a modern-day Faberge egg, played with pink diamonds, and spoken to hundreds of people about adventures with heart. She winds her tales of wondrous gems and destructive loss into fantastic fantasy for teens and tweens, and meaningful nonfiction for adults. But it’s not all sparkle. Elizabeth has found gems of true meaning as a wildfire survivor who lost every possession. She has helped her family through horrific medical traumas with her son almost dying, and her husband’s stroke. Determined to thrive, rather than just get by, now she spots potential as much as she finds inclusions in her microscope. Her creative eye and stories of survival help others to rise above circumstances and begin meaningful life changes. She also speaks, hosts classes, and blogs for adults and kids about how to live a resilient life. 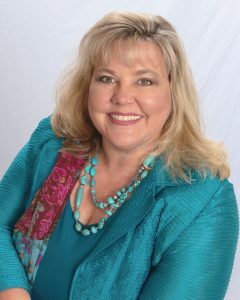 (http://elizabethvantassel.com/) where you can sign up to receive the posts to your email personally. She hosts a YouTube channel and interviews inspirational people, actors, and authors to encourage your journey (https://www.youtube.com/channel/UCbfGSIRoGjwywnyAto0IQKA) and family-friendly or beauty inspired activities to lift your perspective. Her Instagram (https://www.instagram.com/elizabethvantassel/?hl=en) features moments of beauty and inspiration, as well as gems from her gemology life to dazzle and delight. Catch her on Twitter (https://twitter.com/ElizVanTassel) too! 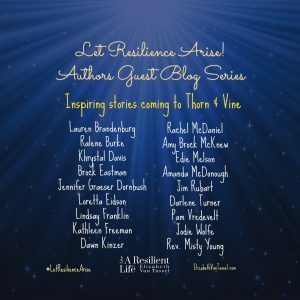 Tagged Change, Confessions, Elizabeth Van Tassel, Life, Resilience. Thanks for having me on your great blog Ralene!